Mr. Rittof is the President and CEO of Modern Management, Inc. and an employee relations consultant His proactive approach to employee relations has roots in a broad spectrum of activities including organizational re-design studies, employee opinion surveys, communication audits, and labor relations seminars. As President/CEO, he leads a team of dedicated professionals in helping executives, managers, and supervisors face the challenges of the future. A graduate of the University of Illinois at Urbana-Champaign, Mr. Rittof holds a B.A. and M.A. in Organizational Communication. He has taught at the university level and is co-author of Quality Circles, a textbook utilized by several universities and businesses. Since joining the firm over 33 years ago, he has consulted in virtually all aspects of employee relations. His experience encompasses healthcare, manufacturing, gaming, hospitality, banking, services, insurance, and government. 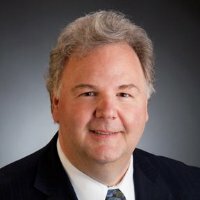 A few of Mr. Rittof’s many accomplishments include successfully assisting numerous organizations in maintaining non-union status; providing preventive management training programs regarding the union campaign process; developing identification and action planning processes for responding to employee morale issues; and implementing communication plans for organizations in transition. He has also provided coaching and guidance for executives wishing to improve their public speaking skills and frequently facilitated executive retreats for strategic planning and team building.